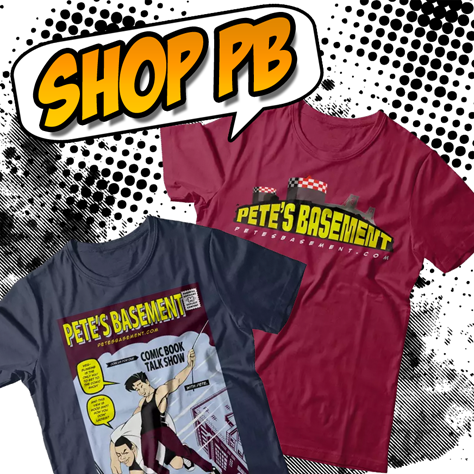 It's the 499th episode of Pete's Basement! Pete and Ramon hit the roundtable to review some comics, talk some trash, and drink some whiskey! You know you wanna' join them, so what are you still doing reading! Hit the play button, and take another step closer to the 500th episode extravaganza! Ghost Rider revs that monster engine and roars onto Agents of SHIELD in a big way, and the Basement Crew is loving every minute of it! Join Pete, Ramon, Trish, and Rich for an in-depth look at Robbie Reyes and his '69 Hell Charger, as well as what could be in store for the Spirit of Vengeance throughout the rest of SHIELD Season 4! DC's Trinity sees the New52's Batman and Wonder Woman trying to make nice with a pre-52 Superman. Francis Manapul's art is absolutely amazing. After months of full page ads, Seven to Eternity delivers in a big way! Ramon takes a break to play in the snow while Pete discusses Rotworld and a few other books while Penny shows everyone her cool Heroclix collection!